The simplest sweet ever in the world but surely one of the most indulgent! 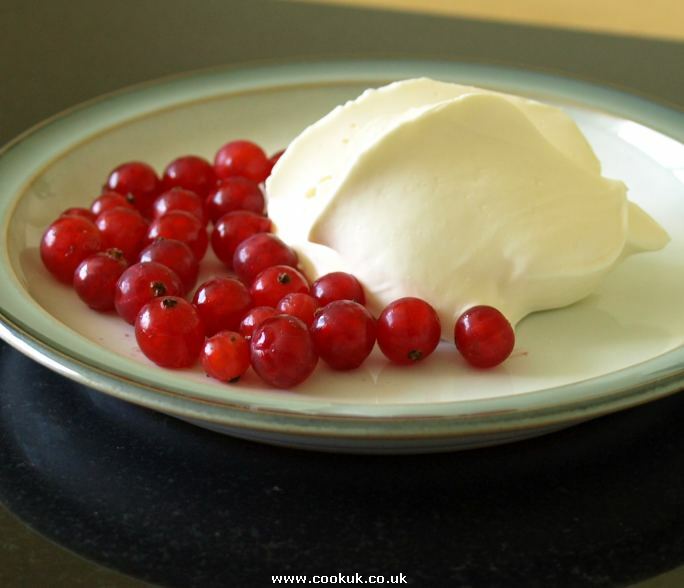 A large spoonful of creme fraiche served with tangy redcurrants. The flavours and textures of these two ingredients is heavenly. Two tablespoons of creme fraiche straight from the refrigerator with a tablespoon or two of redcurrants. The redcurrants have a tart flavour so the best way to eat this is around three redcurrants on a teaspoon of creme fraiche. See here for more information on creme fraiche. Copyright 2006 - 15 David Marks All rights reserved.